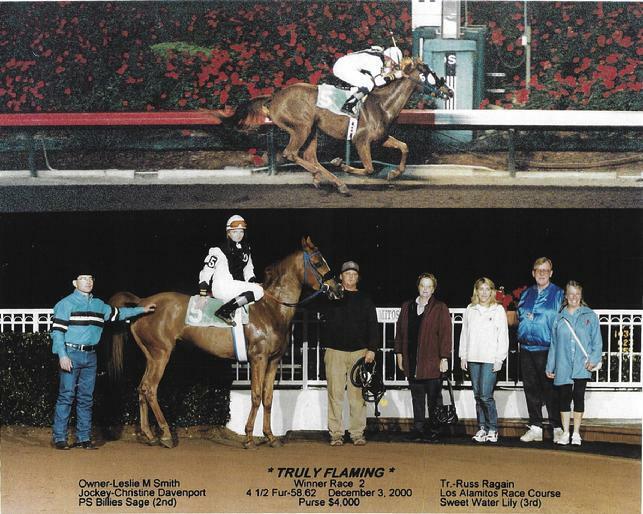 TRULY FLAMING 3/11(3-2-1-4) $12,969 is a purebred Arabian, race winning daughter of FLAMING TIKI 4/35(8-4-10)0-1 $34,143. TRULY FLAMING is the dam of five foals - two to race, one is a winner. Her sire, FLAMING TIKI is a stakes placed, multiple race winner and a sire of race winners. TRULY FLAMING's pedigree boasts a blending of both Crabbet and Polish Arabian racing bloodlines. *KS RUBIN is the sire of her 2013 daughter, RAELIN. TRULY FLAMING is SCID / CA / LFS Clear. 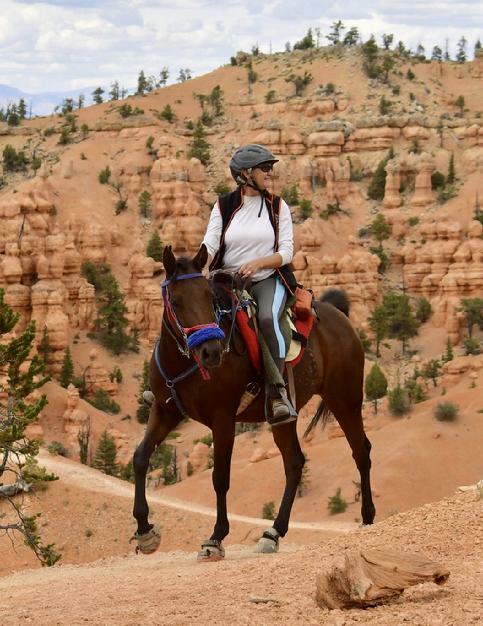 RAELIN and Barb Fredy at the 2018 Virgin Outlaw AERC 50 mile ride. This was RAELIN's first 50 mile ride. 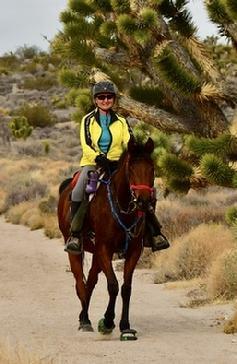 2013 *KS RUBIN daughter, RAELIN and Barb Fredy on the 2018 Eastern Mojave 25. 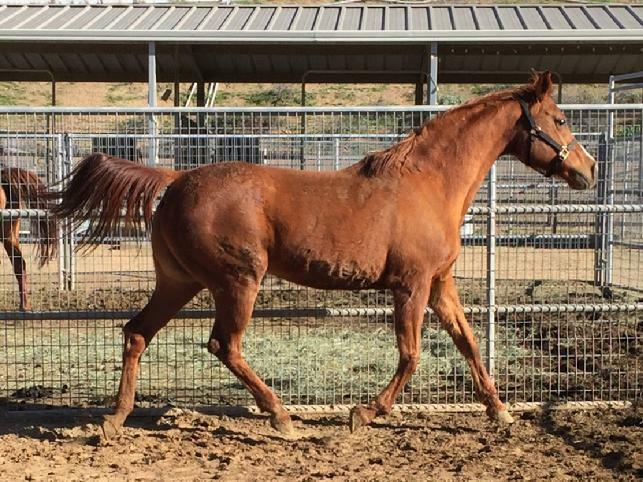 RAELIN - Is a 2013 *KS RUBIN daughter, out of the race winning purebred Polish/Crabbet Arabian mare, TRULY FLAMING 3/11(3-2-1-4) $12,969 . TRULY FLAMING is sired by the IBN KONTIKI son, FLAMING TIKI 4/35(8-4-10)0-1), and is out of the PORT BASK daughter, MHR BRAVA. RAELIN is bred and owned by Oak Knoll Sporthorses.